If you are looking for a place to relax and rejuvenate, Chengdu Renmin Park also known as People’s park is where you should be. Play cards, be a part of impromptu dance session, relish the Chinese tea while relaxing in a bamboo chair or have your ears cleaned in Chinese style ( yes, they do it and it is claimed to be great! ); possibilities are endless! There is also a children’s play park, a bonsai garden, Martyr’s monument to visit inside the park. Drop in here for a peaceful day i n Chengdu! You can pack your lunch if spending an entire day. Open from dawn to late night. 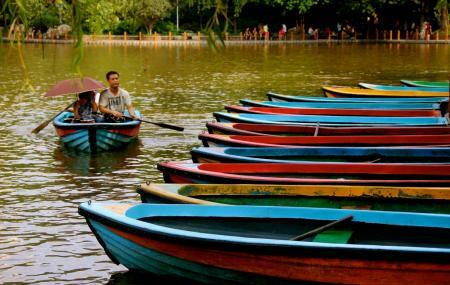 How popular is Chengdu Renmin Park? People normally club together Wenshu Yuan Monastery and Jinli Pedestrian Street while planning their visit to Chengdu Renmin Park.